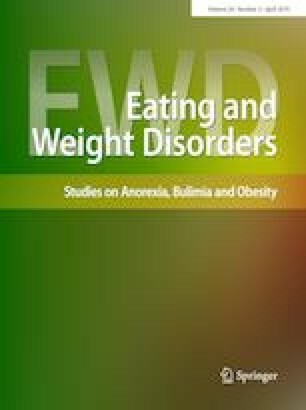 Anorexia nervosa (AN) is an eating disorder that most frequently afflicts females in adolescence. In these subjects, cardiovascular complications are the main cause of morbidity and mortality. Aim of this review is to analyze the hemodynamic, pro-arrhythmic and structural changes occurring during all phases of this illness, including re-feeding. A systematic literature search was performed on studies in the MEDLINE database, from its inception until September 2017, with PUBMED interface focusing on AN and cardiovascular disease. This review demonstrated that the most common cardiac abnormalities in AN are bradycardia and QT interval prolongation, which may occasionally degenerate into ventricular arrhythmias such as Torsades des Pointes or ventricular fibrillation. As these arrhythmias may be the substrate of sudden cardiac death (SCD), they require cardiac monitoring in hospital. In addition, reduced cardiac mass, with smaller volumes and decreased cardiac output, may be found. Furthermore, mitral prolapse and a mild pericardial effusion may occur, the latter due to protein deficiency and low levels of thyroid hormone. In anorectic patients, some cases of hypercholesterolemia may be present; however, conclusive evidence that AN is an atherogenic condition is still lacking, although a few cases of myocardial infarction have been reported. Finally, refeeding syndrome (RFS), which occurs during the first days of refeeding, may engender a critically increased risk of acute, life-threatening cardiac complications. The online version of this article ( https://doi.org/10.1007/s40519-018-0567-1) contains supplementary material, which is available to authorized users. All the authors certify that they have NO affiliations with or involvement in any organization or entity with any financial interest (such as honoraria; educational grants; participation in speakers’ bureaus; membership, employment, consultancies, stock ownership, or other equity interest; and expert testimony or patent-licensing arrangements), or non-financial interest (such as personal or professional relationships, affiliations, knowledge or beliefs) in the subject matter or materials discussed in this manuscript. This article does not contain any studies performed by any of the authors involving human participants or animals.